Goa in December is magnificent. The weather is heavenly and the beaches majestic. But there is a heavy tourist inflow too, which means crowded beaches, premium prices for everything and not a single hotel room vacant. 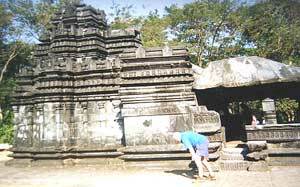 But when we got an opportunity to trek in Goa, through Youth Hostel Association of India (YHAI), we took it. Four of us, my husband and I and my two teenaged nephews, arrived at the base camp in Campall, Goa, at night, tired and dirty. I could not make out much of my surroundings apart from a few tents pitched on flat ground, enclosed by coconut trees. I could also hear some faint music in the distance. But after dinner, I just hit the ground and went to sleep in the ladies' tent. On waking up the next morning, I was greeted by a fabulous view of the blue, endless sea, just hundred meters away from our campsite. That day after breakfast, we went for an acclimatization walk to the Miramar beach. Though it is not the most spectacular beach in Goa, my nephews were really excited about it, as it was their first visit to a beach. They got half soaked within minutes. Later, when we returned to the campsite, I discovered the source of the music I could hear the previous night. There were boats on the sea, with fancy names like ‘Santa Monica’ and ‘Paradise’, blaring loud music and serving food and drinks. I guess this must be the party scene in Goa. I was happy to look at them from a distance. The next day, our entire group boarded a bus to Tambdi Surla Temple. There were 62 people in our group from the age of 13 to 60 years coming from all over India. Our bus took us on narrow, winding roads and finally dropped us at the old and beautiful temple devoted to Lord Shiva. From here, our goal was to reach to Nandran, following the arrow marks put in various places to guide us. On entering the forest, the first thing that hit me was the silence, the total absence of any kind of day-to-day familiar noises. In this lush vegetation, we came across huge spider webs, anthills and many small streams with twisted trees on their banks. We reached a big water point by midday and anticipated that we were halfway through. Then it happened. We got lost. At one point we were not very sure of the direction the arrow was pointing and walked to our left. After walking for ages, we reached a motorable road. Local people told us that our campsite was 9 kilometers (5.6 mi) ahead. There were some twenty of us and we started huffing and puffing. Some of us got a lift on a truck for the part of the way. There was a small teashop where the truck dropped us. After having tea we walked again for eternity and then we finally reached our destination. But that was then, now the four of us laugh at the day we got lost and had tea that tasted like manna. We made it to the camp while there was still daylight; I am sure the feelings would have been different if we would have been lost at night. Darkness lends another hue to the forest, one that I would not like to get lost in. The next day we had to reach Dudh Sagar, covering a distance of 18 kilometers (11.2 mi). This day, again we walked through the forest and reached our destination without much difficulty. 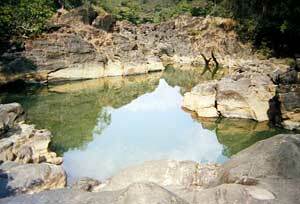 In Dudh Sagar, our camp was set near a big stream. We had a hearty meal and a nice stay there. Our next stop was Kuveshi, a distance of only of 8 kilometers but all uphill. After a kilometer or so, we reached a railway tracks and had to walk along it for a long time. We also passed through a few tunnels. From Kuveshi our next destination was the famous Majorda beach. On this day we had to trek 22 kilometers (13.6 mi) to reach the Qelam railway station and take a train to the Majorda. We started early and walked once again along railway tracks. On this day we visited a beautiful spot called the Devil’s Canyon. Though the canyon is small, still the atmosphere is serene and beautiful. The water looks very calm from the rocks that surround it but we were repeatedly warned about strong underwater currents and caves beneath the rocks. Swimming was not to be tried at any cost. We reached Qelam railway station thoroughly tired after covering all of the 22 kilometers. We attacked at all the fare available at small tea shops in the area. Soon after, we boarded the train to Majorda. 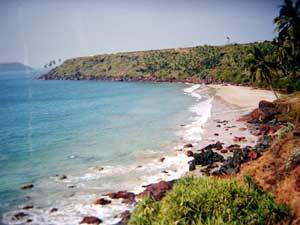 On reaching the Majorda beach that evening, we dumped our rucksacks and ran toward the sea beach. After a short campfire, it was time for dinner and bed. The next day my husband and I got up very early and came to the beach. The sea was mild, it was still dark and many crabs were running aimlessly on the beach. I was afraid of the crabs. At daybreak, we went for a long walk. There was white sand and a lot of beautiful shells scattered on it. The waves were gently lapping at my feet and coconut trees were swaying in a distance. Apart for a few early morning joggers and fishermen, we had the entire beach to ourselves. Two hours later, we went back to have our breakfast. By this time my nephews too were awake. After breakfast, the four of us were back on the beach together. We went in the sea and played on the waves for hours. Later, the four of us did parasailing. Basically the experts tied us properly to a parachute and the parachute, with a really long rope, to a boat. The boat pulled us out to sea as we floated higher and higher. The winds that day were strong and the first to go up were my nephews together; the younger one is not strong enough to pull the parachute ropes to come down. Next, my husband went up alone. While coming down, he almost landed up on the coconut trees nearby. Then the people handling the activity decided to send me up with my elder nephew, thinking correctly that if I went alone, I would actually land on the coconut trees. 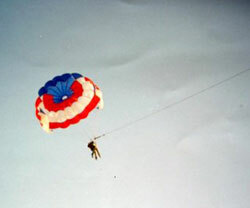 I had a soaring nice time up in the sky above the sea and with an uninterrupted 360-degree view. After parasailing, we trekked to the Sancole beach in the evening. I walked barefoot and with the sun setting in the sea, it is unforgettable. The sun sets on Sancole Beach. Sancole beach was our final destination of the trek. From here, we had to trek back to our base camp in Campall. On this route we passed saw the unspoiled beauty of the Hansa beach which is near to the naval area and is not accessible to tourists in general. After walking across the naval area we took a bus to the port. From there we boarded a ferry reserved for us that would drop us near our campsite. While crossing the sea, our group spotted two dolphins. It was a Sunday and we reached at the Donna Paula beach at around 5 p.m. in the evening. It was brimming with people rubbing shoulders with each other. I was so glad that we trekked instead of spending our time in the main city. However, it was also the time to say good bye to the splendid Goa and return to traffic noise, pollution and mundane jobs. 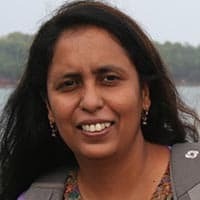 For more options, find unique Goa hotels and interesting tours in Goa. 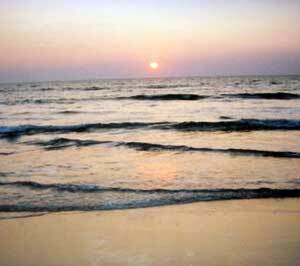 Find hostels in Goa.